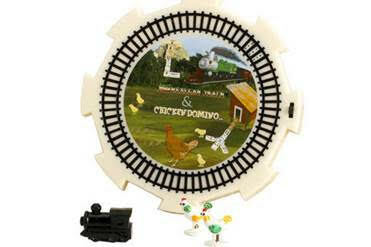 Centre hub for Mexican Train, and Chicken Dominoes with accessories. There are 8 train markers, 2 chicken markers, and larger train marker. Uses 2 G13 batteries.